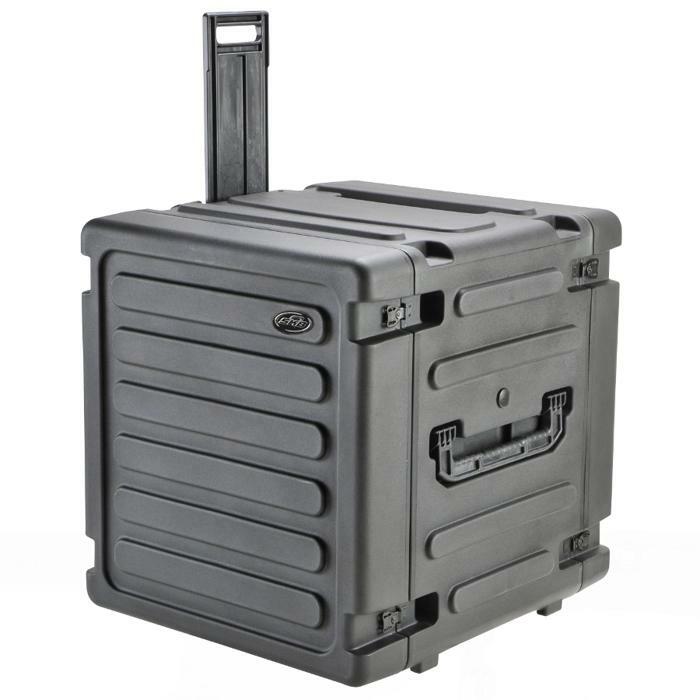 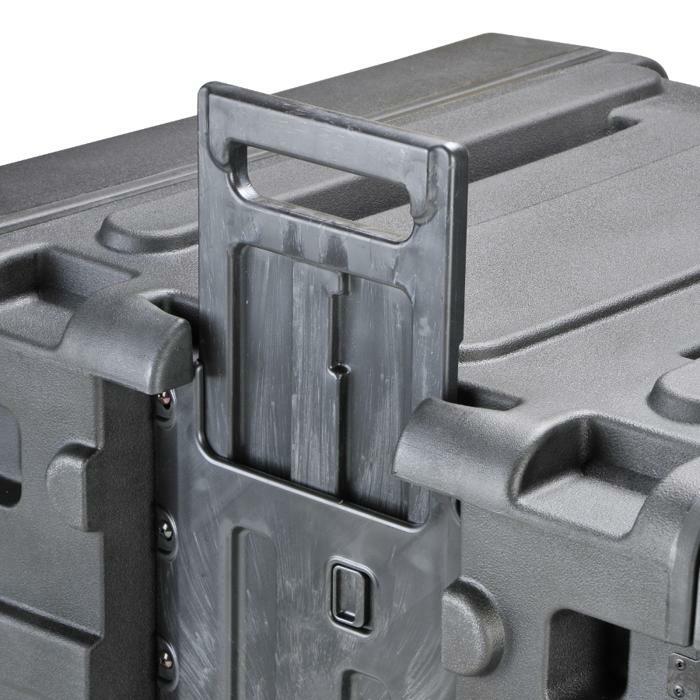 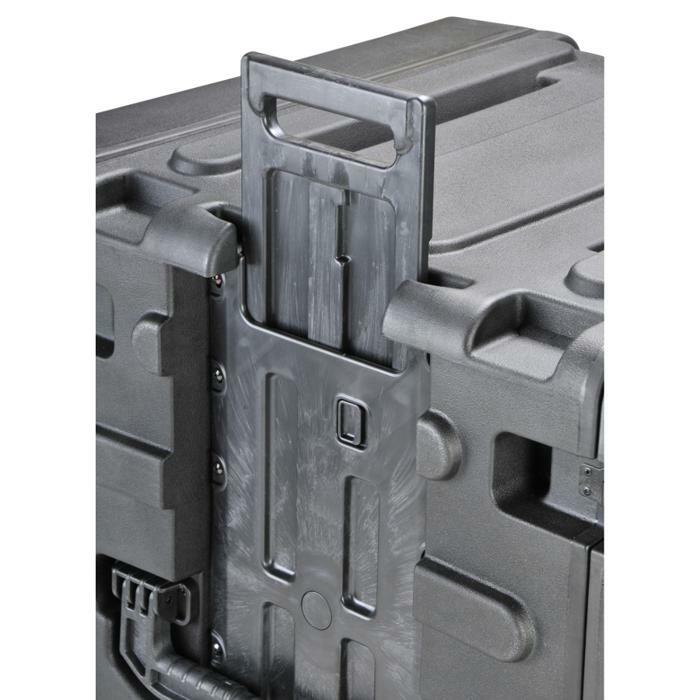 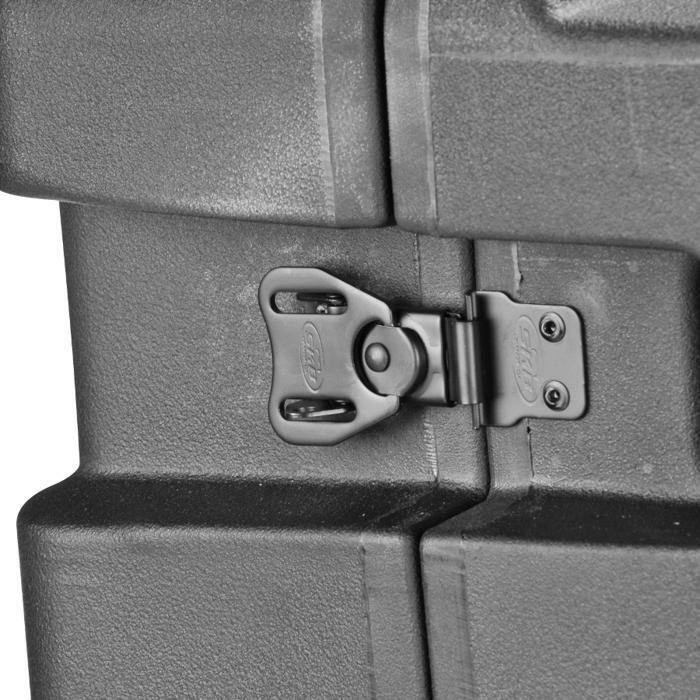 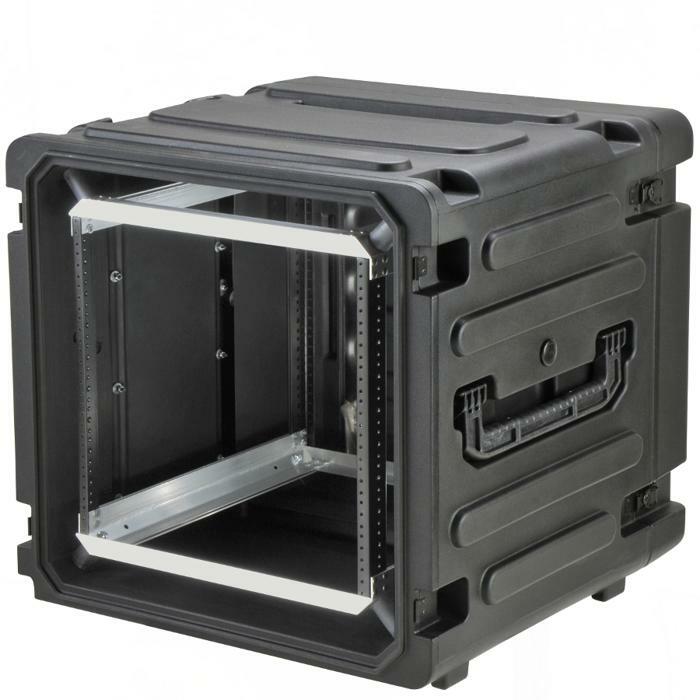 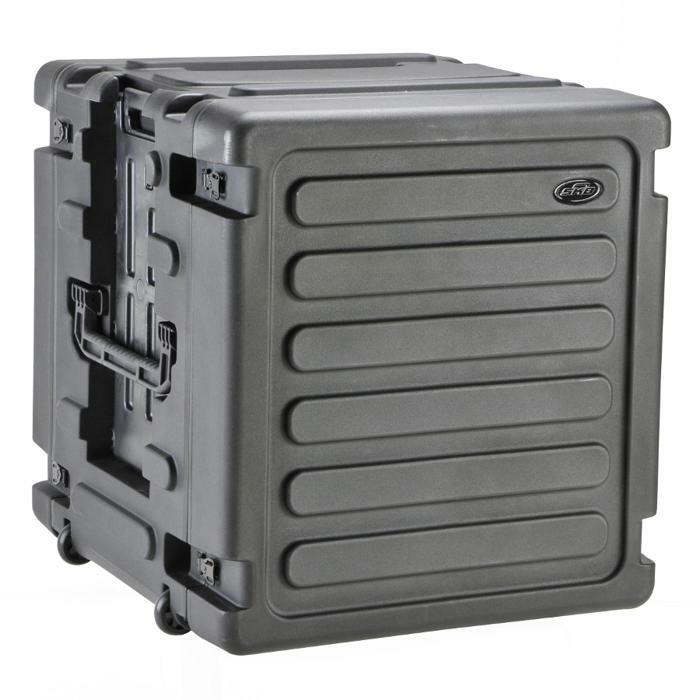 The Rolling Shockmount Case series incorporates our recessed patent pending TSA trigger latches and low profile injection molded pull handle with a 20 inch deep tough shell. 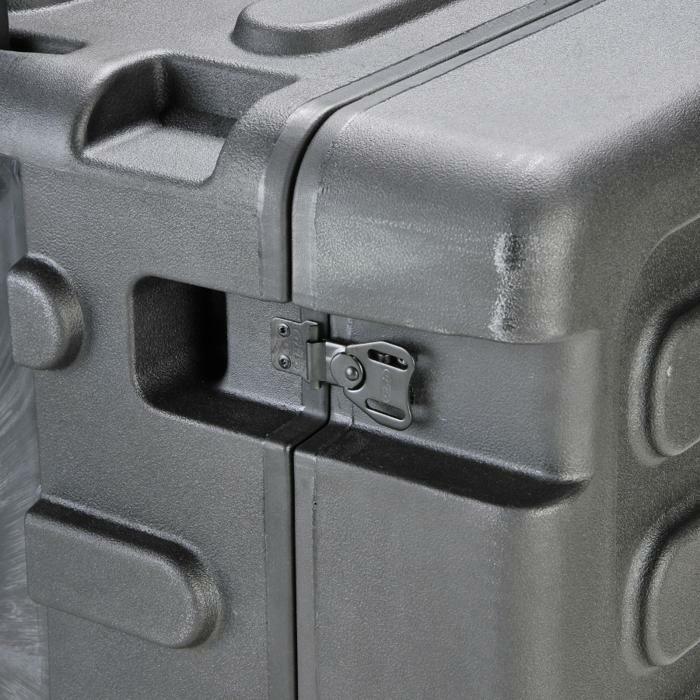 The molded design provides extra stiffness in the lids and sides and allows for secure stacking. 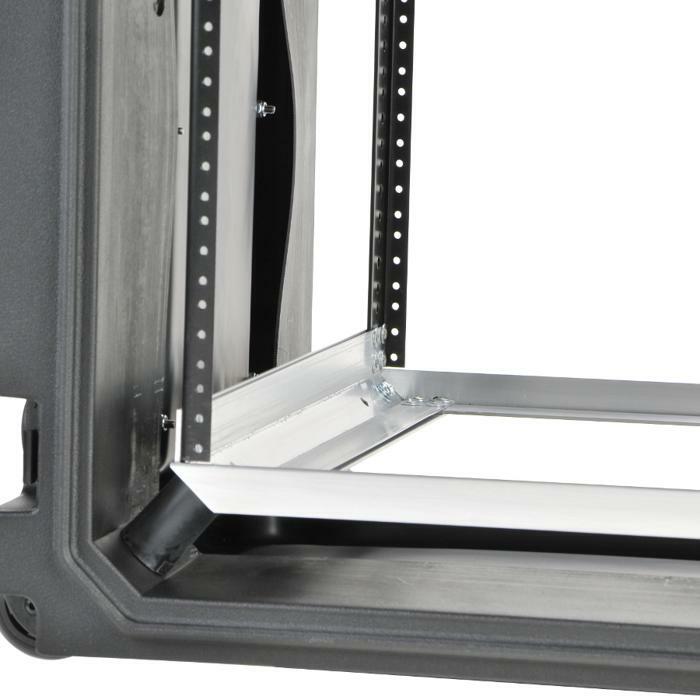 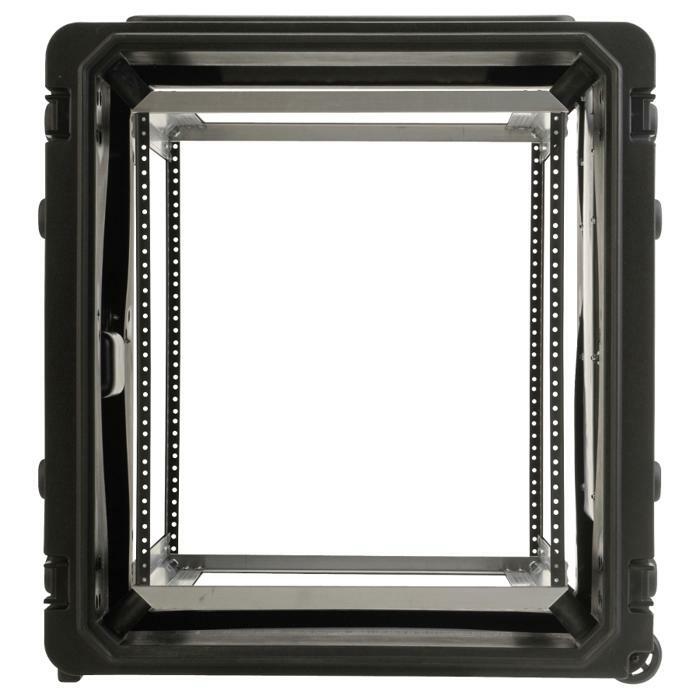 Rack depth front to rear rail is 20 inches and each lid is 2-1/4 inches deep. 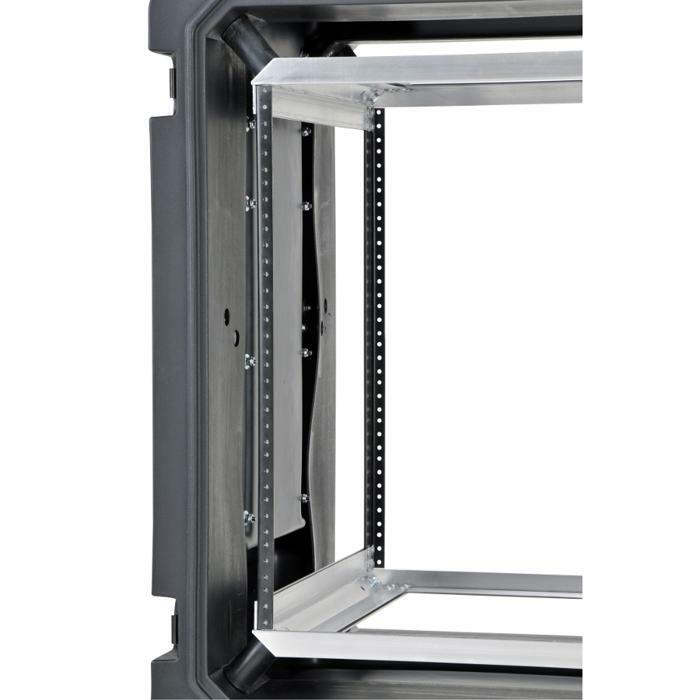 Doors are fully usable even when racks are stacked together. 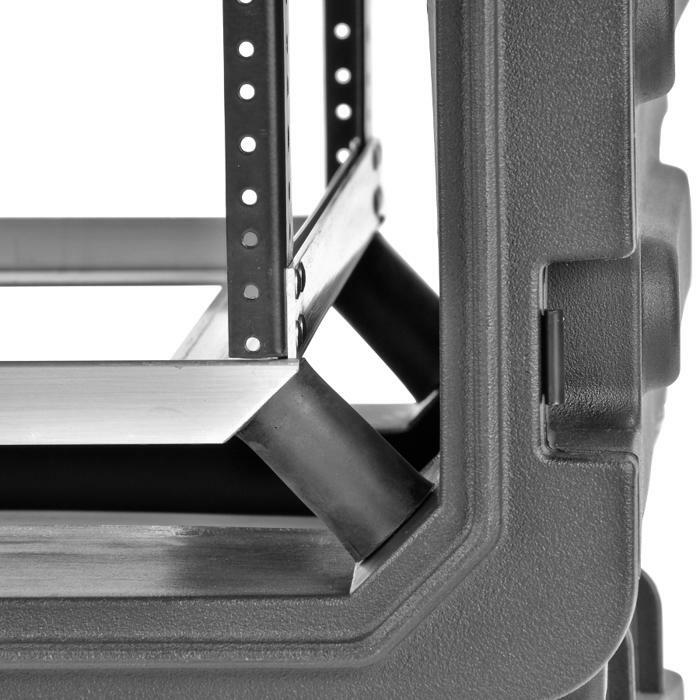 Elastomeric shocks protect even the heaviest of loads. 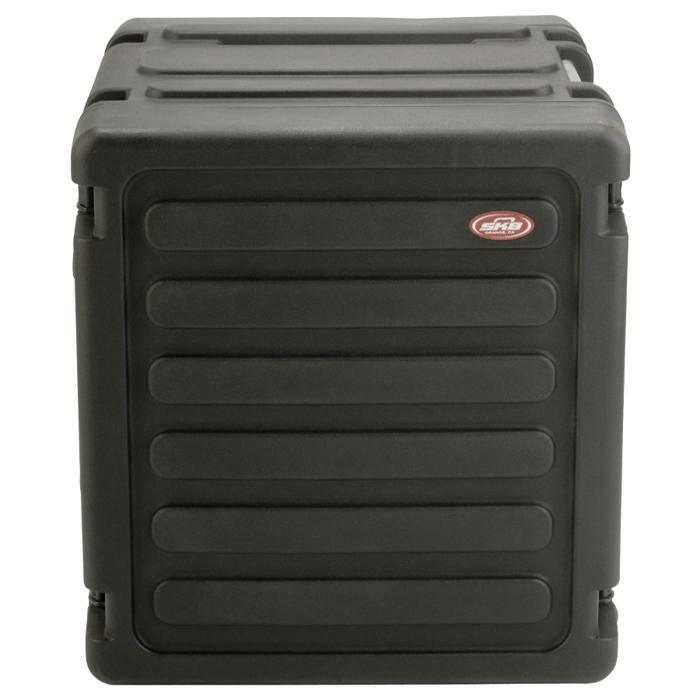 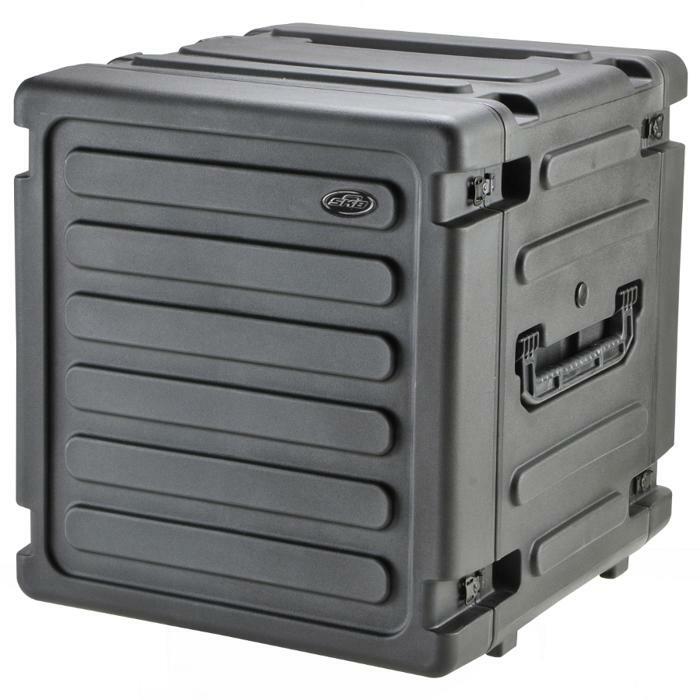 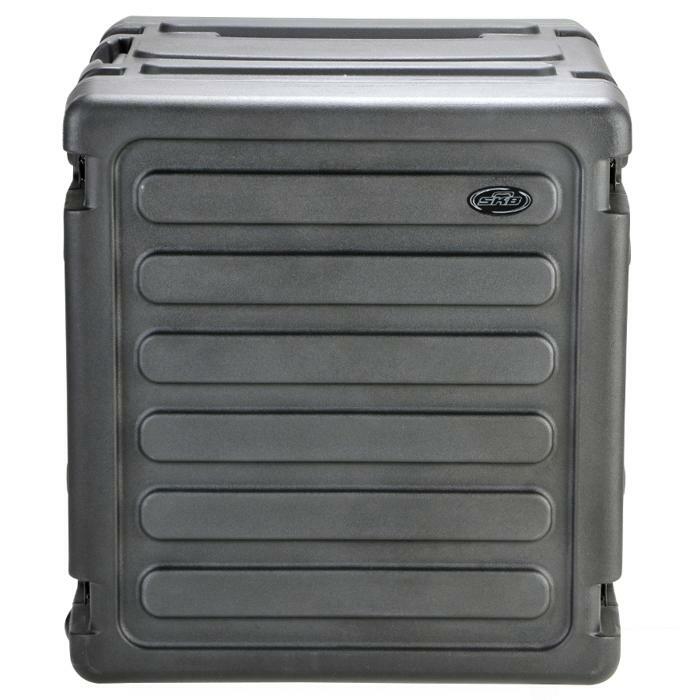 Sliding retractable handle, ambient pressure relief valve, oversized snap-down handles on each side, roller blade wheels, and gasket protected front and rear doors are all standard equipment.